Nainital is a famous tourist destination in India that lures many tourists from all over the world. This place is a perfect destination for people looking for a place where they can relax during the trip. This hill station is blessed with breathtaking views, beautiful sceneries, lakes and abundance of natural beauty. This place has lot of shopping options for its visitors. If you are planning a trip to Nainital, but don’t know what all its attractions are then you can spoil your trip. It is important for you to know what all are the major places to see in Nainital before planning a trip to Nainital. Knowing what all to see in Nainital, will make your trip to Nainital full of fun. 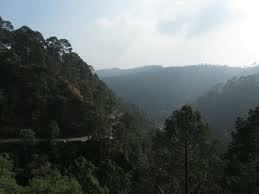 You would be glad to know that there are numerous places to see in Nainital. The popular places of Nainital which should not be missed on the trip to Nainital are Naina Devi temple, Daniel Wilson church, cable car, Tiffin Top or Dorothy’s seat on Avarpatta hill, Cheena Peak, Naina Peak and Gurney house. On your trip to Nainital, you can see places that are located in the outskirts of Nainital like Bhimtal Lak, Jim Corbett National Park, seven lakes, Khurpa Tal and Mukteshwar town. So plan up a trip to Nainital and do visit the above mentioned places to see in Nainital.